ManageEngine ServiceDesk Plus is the only help desk management system you will ever need. 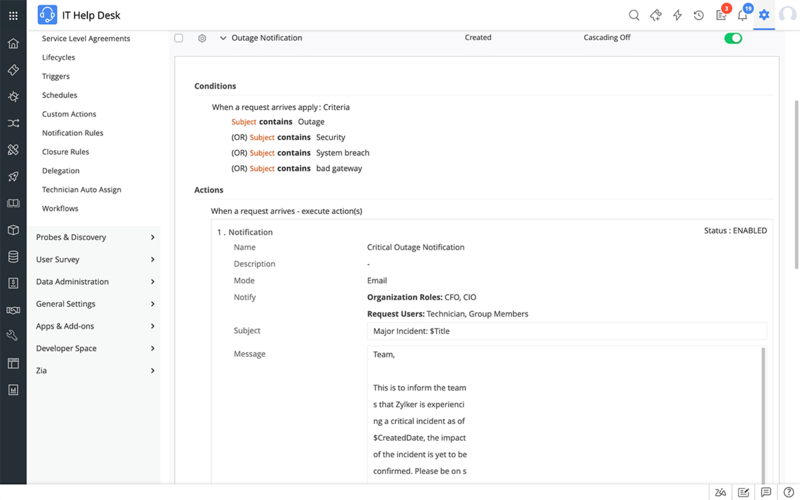 Able to automatically assign support tickets, keep users informed of the status of their call and help you to adhere to SLA rules, ServiceDesk Plus is one of the leading help desk management tools on offer today. 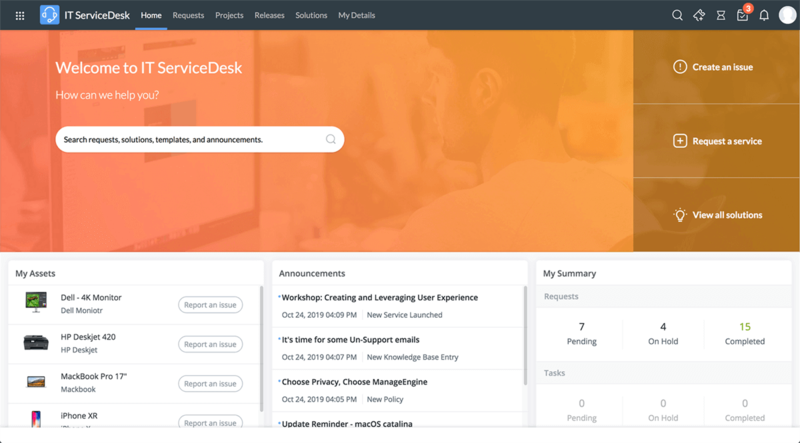 With the self-service portal within ServiceDesk Plus, you can give your users the ability to raise their own support tickets. Imagine how much this could free up your help desk to work on resolving current issues or catching up on older unresolved issues. 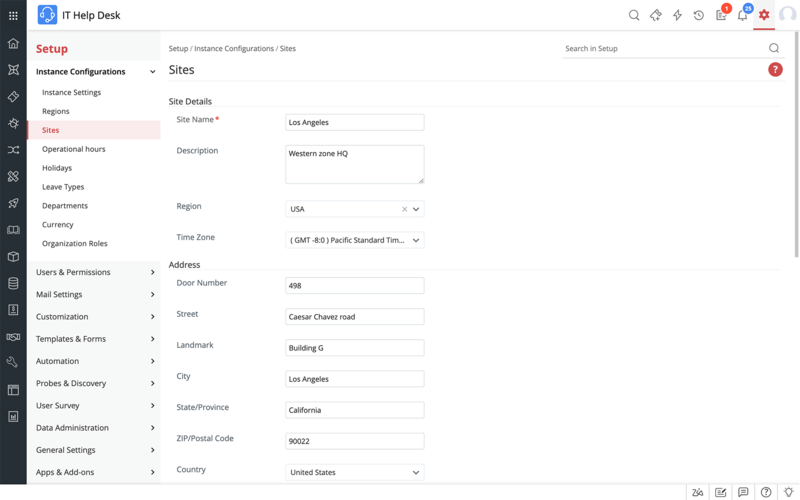 Users can create and track support tickets and see the status of their ticket from creation through to resolution. Technical teams can also broadcast outage notices companywide using the self-service portal. Learn more..
A good knowledge base can save your help desk staff so much time. Your technicians will be able to check the knowledge base for resolutions to problems and so will your users. You can make a number of resolutions public to users allowing them to solve minor issues themselves. Learn more..
Are your help desk staff losing a lot of time sifting through support requests emailed to them? 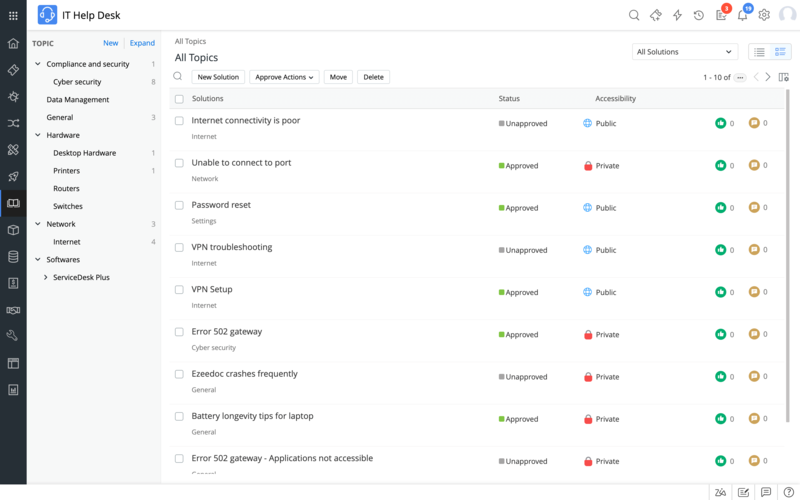 Well, with ServiceDesk Plus you can make these administration tasks, a thing of the past. 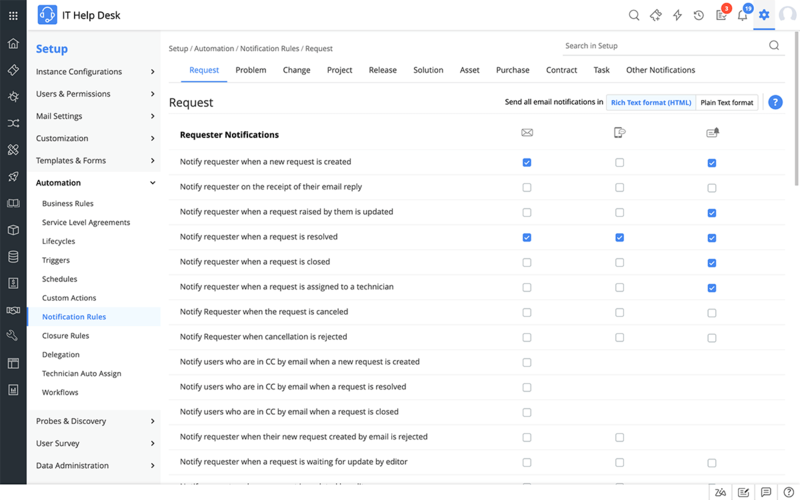 Help desk management just got easier, thanks to the system's ability to turn emails into requests automatically. This could save your help desk a considerable amount of time and help them to be more proactive. Learn more.. If you need to provide 24 hour support across multiple sites, you need a robust help desk management solution. 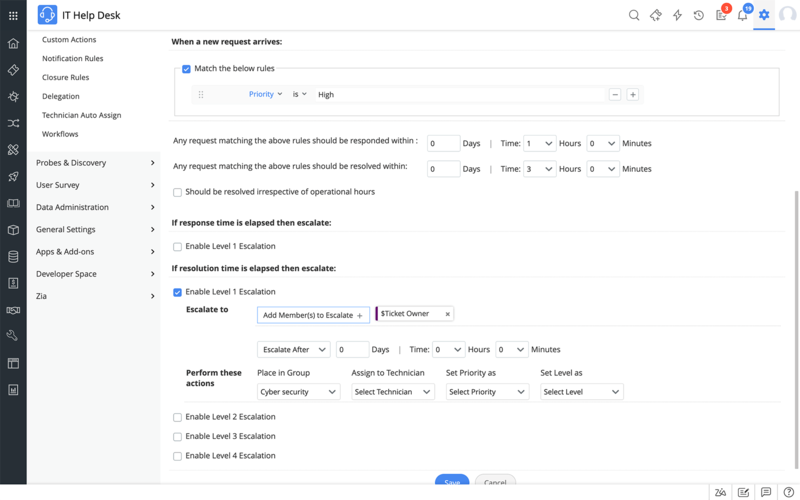 The good news is that ServiceDesk Plus can handle your support requests and assets no matter how many branch offices you have or where they are situated. Learn more..
ServiceDesk Plus ensures you comply with the SLAs you have defined. Adding SLAs and managing them through your help desk management solution allows you to provide a better service to your users and resolve issues in a more timely manner. Learn more..
Now you can interact with any third party software that has API integration. Access requests and events created elsewhere with ease. Learn more.. If your help desk staff spend hours of their day assigning support calls to technicians, you can make their lives so much easier and more efficient. With Business Rules, you can set each call to be assigned automatically based on categories and the rules you create. This is a great way of being more proactive and efficient when handling support calls. Learn more.. Notification Rules allow you to send out confirmation receipts to users when they raise a request. This gives the user instant reassurance that their call is being dealt with. You can also send out alerts when a ticket is assigned to a technician or when a change is made within the ticket. Learn more..
One of the most important functions of any help desk management solution is reporting. 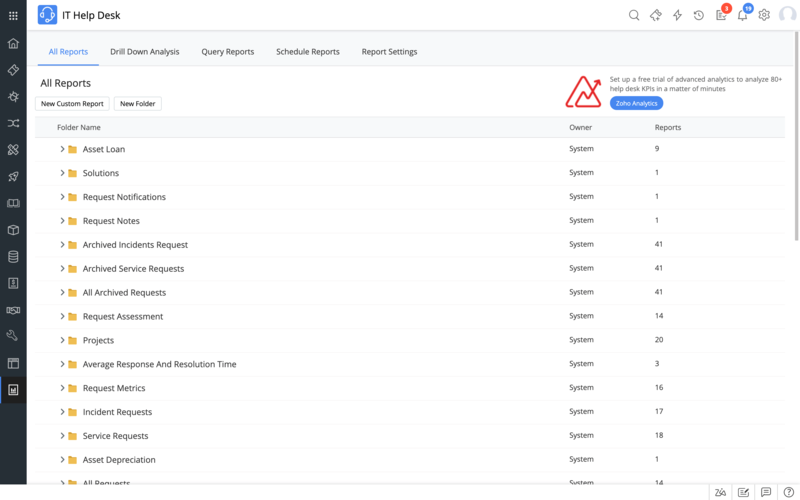 With ServiceDesk Plus, you can report on technician activity, help desk load and SLA breaches. A good reporting feature can help you to stay on top of your support queues and deliver the best possible service to your customers. Learn more.. The user survey functionality within ServiceDesk Plus can really help you to gain better visibility about the service you are providing. User feedback can be so beneficial and can help you to streamline your services and iron out your weaknesses.